If you own or run a business in or around Tempe, Arizona, or anywhere across the state, you can turn to the legal professionals at the Brentwood Law Group for the quality, cost-effective counsel you need to ensure you can meet all of your important and serious legal challenges head on. We will work directly with you in order to provide the solid advice you need to make the best-informed decisions about the matters that affect your case. We utilize the latest in legal technology to provide innovative solutions for your matter efficiently no matter how complex your needs, and we promise to do all we can toward helping you achieve the positive results you deserve both inside and outside the courtroom. This commitment to our clients has become the hallmark of our practice, making our law firm one of the area's premier sources for exceptional legal counsel for virtually any matter affecting your enterprise. 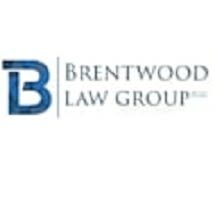 To find out more about how the Brentwood Law Group can best serve your needs and help your company succeed, you can call our law office or visit our website to schedule an appointment for a consultation.